Our objective is to teach the game of football and the sport of cheerleading to our youth by providing a safe and educational environment. It is taught through participation and instruction, good sportsmanship, personal integrity and team cooperation; The proper molding of future citizens. Every player/cheerleader is given the opportunity to participate and learn the game of football or learn the sport of cheer. We believe that this is an important phase in a child's life to be introduced to both sports for the understanding and the experience. We are a football and cheer league and welcome participants and parents from all across North Texas. 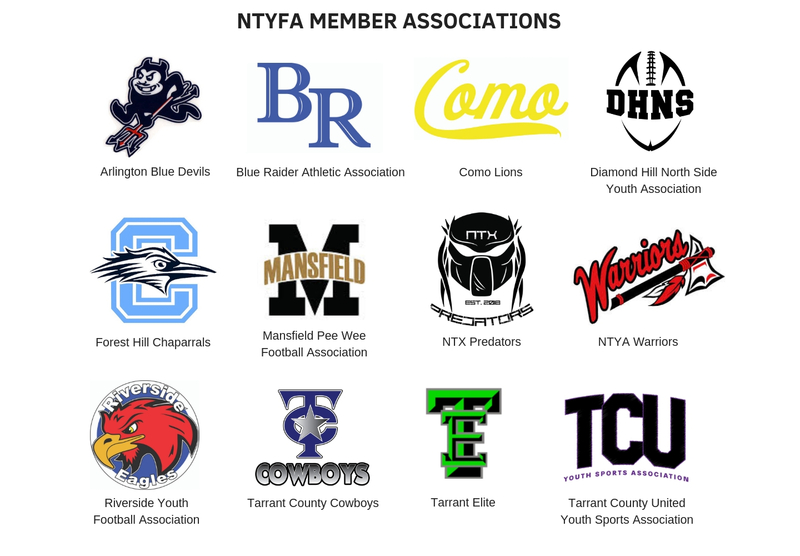 Click on Pages in the Menu to learn more about NTYFA Member Organizations.